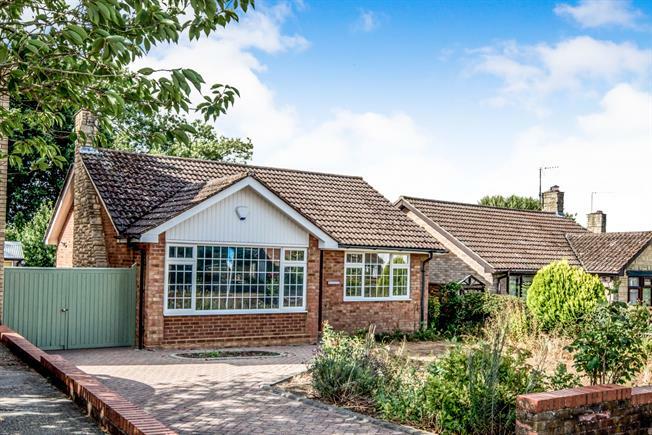 2 Bedroom Detached Bungalow For Sale in Bedford for Asking Price £340,000. Fully renovated two bedroom detached bungalow located in the North Bedfordshire village of Sharnbrook. The property comprises of entrance hall, lounge with feature fireplace, kitchen with built in appliances, two double bedrooms with built in storage and a bathroom. Externally The property benefits from a rear garden in excess of 100ft, as well as a good size front garden with a driveway leading to a single detached garage.